Flat oval spiral ducts structure consist of an insulating layer that interconnects an outer layer that is made up of a strongly built shell that withstands metallic pressure, and an inner layer made up of metal. They come in longitudinal seam structures that make them perfect to be applied to gauges that are heavier. Flat oval spiral duct work should be considered in ‘space limited areas,’ or where the ceilings hang low to enable sufficient air supply. 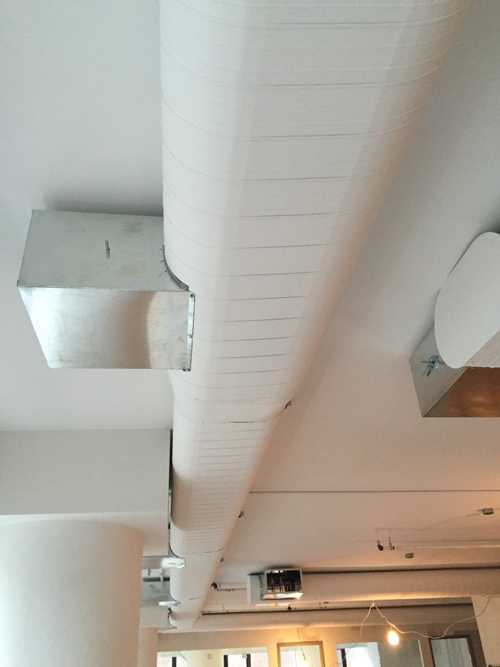 Also areas where round ducts cannot be applied, flat oval spiral duct work are highly recommended. The pipes come in long or short lengths and for added strength they are corrugated. Spiral pipes enhance the appearance of a building due to clean construction and they can be painted to pass as part of the ceiling. The set-up doesn’t require additional bolstering due to the seams that are firm which also makes the system to appear clean. Leakages in the spiral ducts are prevented due to their air tight structure and they are energy efficient because of low resistance to air flow in the pipes. Installation of the pipes is fast and doesn’t involve complex procedures as the parts of the pipe are made to fit in perfectly into one another. Installation time is also greatly reduced as the structure doesn’t require a sealant. Compared to rectangular ducts, the flat oval spiral duct requires less bolstering, and experiences less vibration, due to its flat surface. Installation of the spiral pipe requires only a small number of workers to put up large sections due to the lightness of material of the spiral duct pipe. Flat oval spiral duct pipes air tight structure ensures less air leakages, improved flow of air, and reduced noise that makes it highly recommended for use indoors and it’s is also watertight.